StepMusings: Take Those Traveling Toes to a Bookstore Near You! Take Those Traveling Toes to a Bookstore Near You! 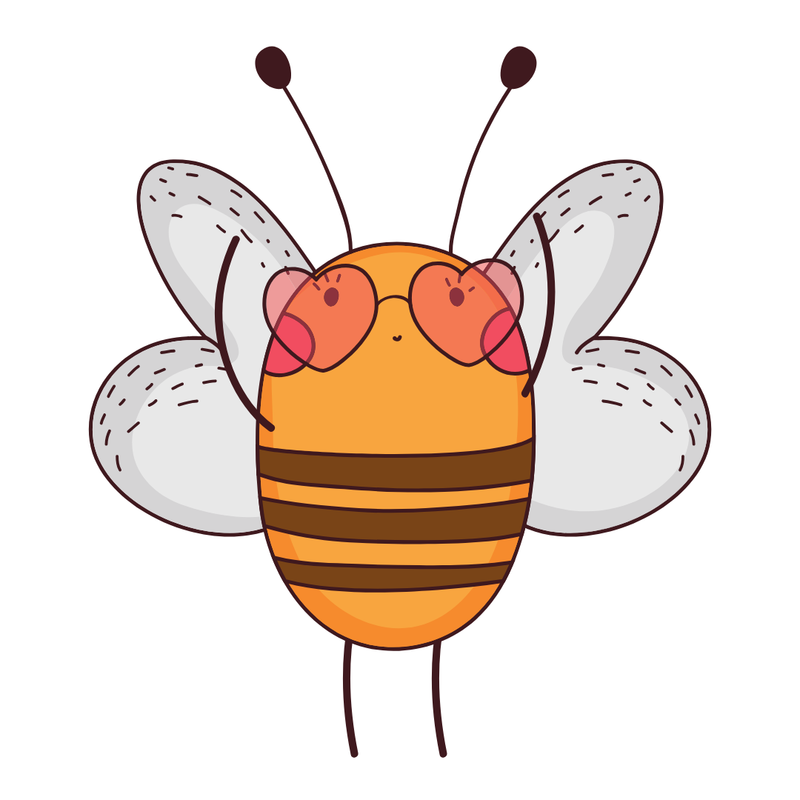 StepMusings is not my first dabble in blogging and I have to say I have always loved that I can share something that might make someone's life easier, or someone feel stronger, or give an honest opinion that might help someone make a small life decision like which bag or book to buy. And in the spirit of that idea, here are a few family reviews of some books I was sent by Disney Publishing to review. I got to read the lovely The Best Kind of Magic by Crystal Cestari and already have a short list of friends to lend this out to. 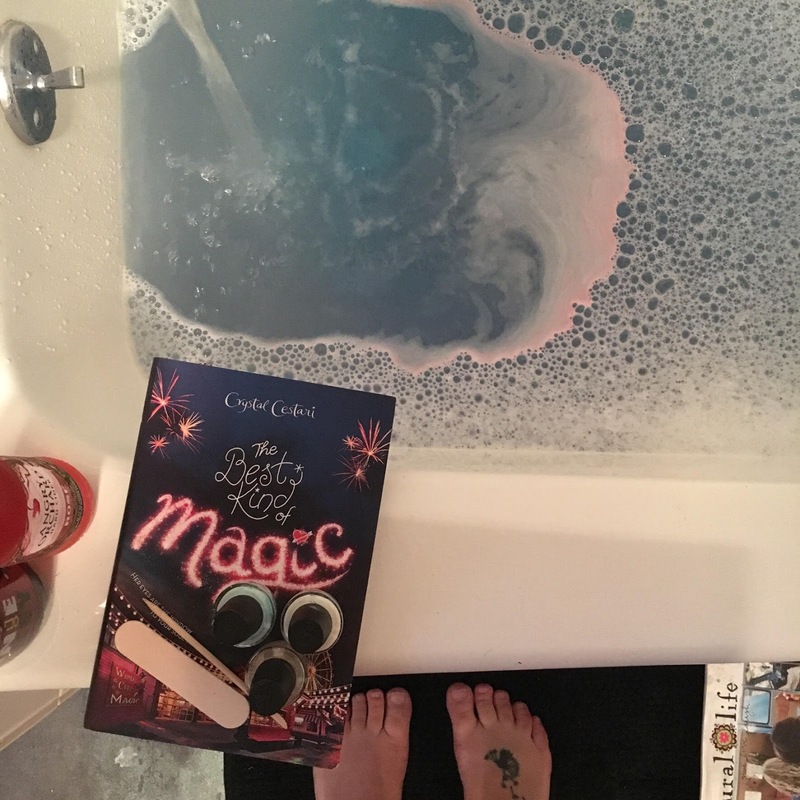 I love when there is a little bit of witchy magic mixed into my light reading and this book does not disappoint! From characters with beautiful evolutions who I was really rooting for to small twists to keep me intrigued, I loved the writing style and story arc of this book and have already ordered the next in the series from Amazon! My 13 year old was over the moon that we were sent Follow Me the second book in Sara Shepard's The Amateurs series. Sara Shepard wrote the Pretty Little Liars series as well the current series The Perfectionists and The Elizas. 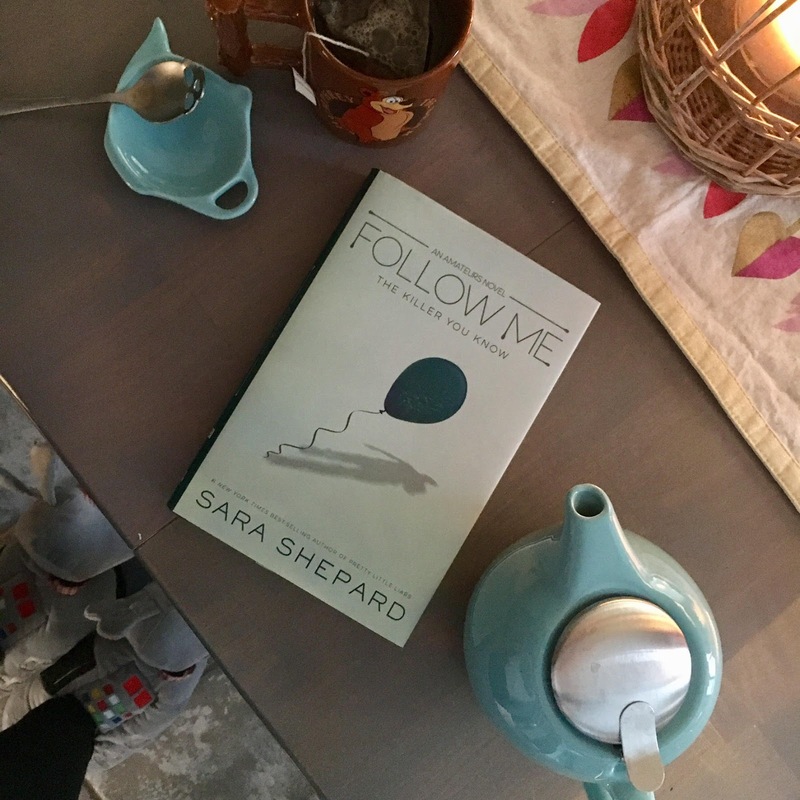 "Follow Me" continues the murder-mystery solving adventures of the first book and my girl read this when it was still in advanced reader copies (she was nearly 12 when she read the first book) so shes been waiting a while for the sequel and still picked it right up! According to my 13 year old's retelling of the story (picture a teenager who, after reading, comes in to tell you everything she just read with animated hand gestures, wide eyes, and constant shocked end-phrases "Can you believe it?!") I can wholeheartedly say that not only was this better than the first book but it wowed even my most hesitant reader into wanting more! I highly recommend this series for Sara Shepard or Pretty Little Liars fans as well as any teen girl looking for a modern mystery series to delve into! My 11 year old stepson dove into the Tales from Adventureland book The Keymaster's Quest. 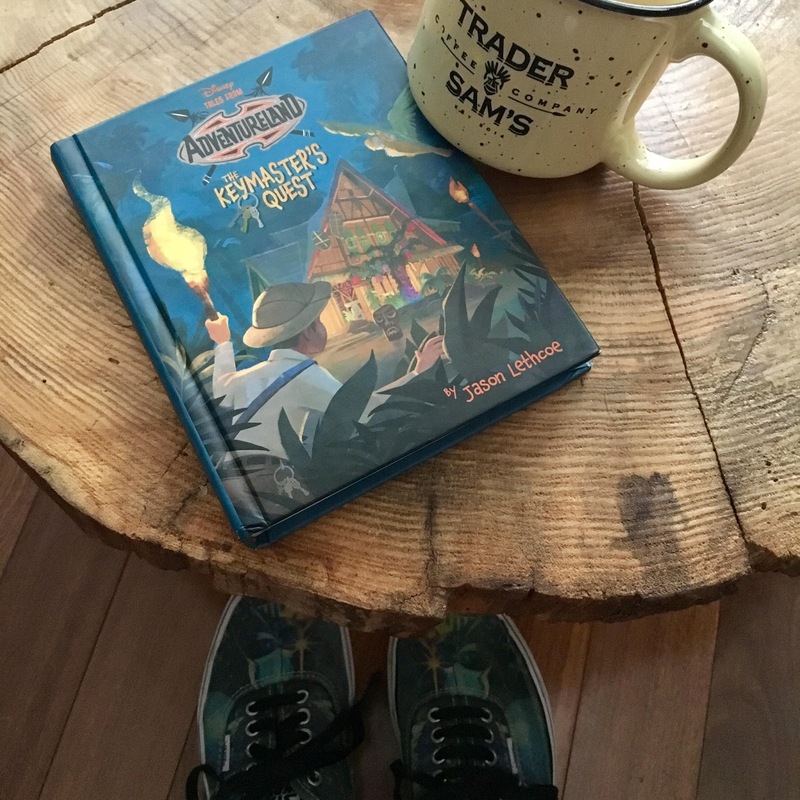 This lovely little book comes after the successful Tales from the Haunted Mansion series which was a huge hit at our house for multiple reasons but I can sum them all up by saying because we are huge fans of the Disney Haunted Mansion ride and huge fans of stories like Goosebumps. My son didn't have as much details to share about his reading but did say about twenty times that he hopes they make this into a full series, and could not but help revealing the mystery in the story in a way that gave away all the good spoilers. I will simply say that this is a story about a boy named Andy and how he is pulled into an adventure to find his lost Grandfather. My boy felt like it was a very easy read for him so I would put this at around ages 8-10. The second book in the series is due out in April so get reading!